In a small microwave-safe bowl, melt candy melts in microwave or double boiler, stirring until smooth. Dip top of cupcakes into chocolate to cover the frosting. 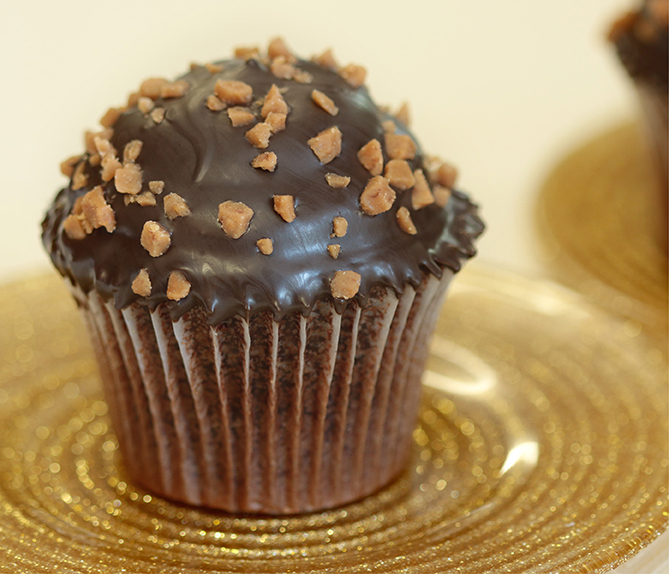 Sprinkle with toffee bits, using 1 tsp(5 mL) for each cupcake. For other hi-hat treats try Red Velvet or Triple Chocolate Cupcakes. Try colorful sprinkles in place of the toffee bits or leave plain.